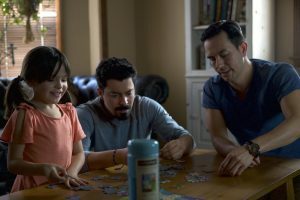 When his ex-boyfriend Sam shows up on his doorstep a year after separating, Anthony weighs the impact it will have on his life and young daughter Luna. Miguel Angel is a SoCal native and received his bachelor’s degree in Theater from the UCLA School of Theater, Film & Television. 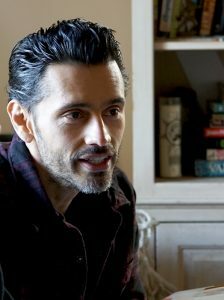 After graduating from UCLA, he was part of the Latino Theater Company in Los Angeles where he co-produced and wrote original theater pieces including Melancholia, which had a successful run in Los Angeles and at the Edinburgh Fringe Festival in Scotland where it was nominated for an Amnesty International Award. 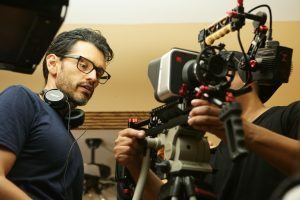 Miguel Angel is a founder of Cabaldana Alchemy and has produced the critically acclaimed feature film Cry Now, which was released in theaters February 2017. 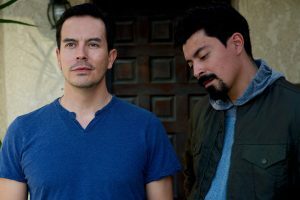 Miguel Angel also produced, co-wrote and starred in the short film The Invitation, which premiered at the Los Angeles Latino International Film Festival and aired on the Showtime network. He \ wrote and produced the PSA Know Your Rights for the Coalition for Humane Immigrant Rights of Los Angeles (CHIRLA) which became one of the most widely distributed and viewed tool for Immigrant Rights in the U.S. He has served as Associate Producer on the films Love, Concord, which premiered at the New York International Latino Film Festival, Forgiving Heart, which premiered at the Outfest Fusion Festival and Bruising For Besos which premiered at Outfest 2016.As an actor, he has recently wrapped the leading roles for the upcoming features film Sleeping Dogs Lie (2018) and the film Cry Now, which was released in theaters in 2017. 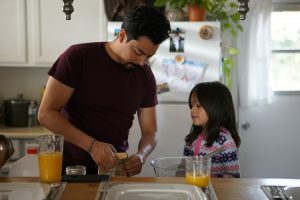 He had a recurring role in the long running soap General Hospital as Orlando Brooks and appeared the film We Have Your Husband for Lifetime, starring Esai Morales and Teri Polo. On television he has appeared on shows such as NCIS Los Angeles (CBS), CSI:NY (CBS), ER (NBC), JAG (CBS), Greetings From Tucson (WB) and The Visitor (FOX). With Broken Sunflower Hearts, I set out to explore the transformation of love after a breakup. The film tells the story of Anthony and Sam, two men who love each other but must must take different paths in life. I’ve often wondered: Is love enough to keep people together? Does love ever die completely after a breakup? 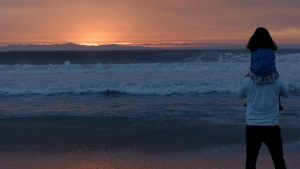 Is compromising who we are true love or does that compromising reveal no reverence for ourselves? As queer people, some of us experience these questions in relationships with another added layer…shame. We grow up with an immense sense of shame. We are not like the rest, nor like society wants us to be. We desire to be normalized for who we are and yearn for acceptance in our choices of who to love. And with this in mind, the third element of this story fell into place…Anthony’s 4 year old daughter, Luna. Luna represents acceptance and the normalization we yearn for. She accepts her father Anthony for who he is. Despite difficult questions her school peers pose regarding her family, Luna’s innate love and wisdom shines through. Luna also represents innocence, purity and the future. She is the glue that held Anthony and Sam together at one point and simultaneously the cause of their conflict that led to their breakup. The film starts a year after their separation when Sam shows up at Anthony’s, doorstep unannounced wanting closure; or perhaps trying to revive the relationship that once was. 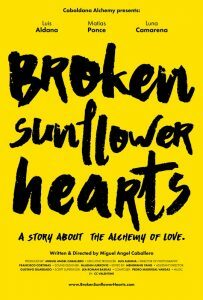 Broken Sunflower Hearts is an exploration of the alchemy of love. The kind of love that takes a piece of us with it when we walk away and the kind of love that changes us forever as we move forward.